My cousin Jean sent Bubs this very amazing robotic animal kit that made him deliriously happy. Since he's pretty adept with Lego, we left him to fixing it by himself ... which was mistake #1. Mistake # 2 was not keeping 6 x AAA batteries at home. Oppps. It wasn't until Bubs completed the pterodactyl that Hubs realised the kit requires batteries. And to fit the batteries in, you need to semi-demolish the robotic animal. We were scrabbling about at 10pm trying to find enough AAA batteries that we stripped the cordless phone and air-con remote for to make the pterodactyl flap its wings. 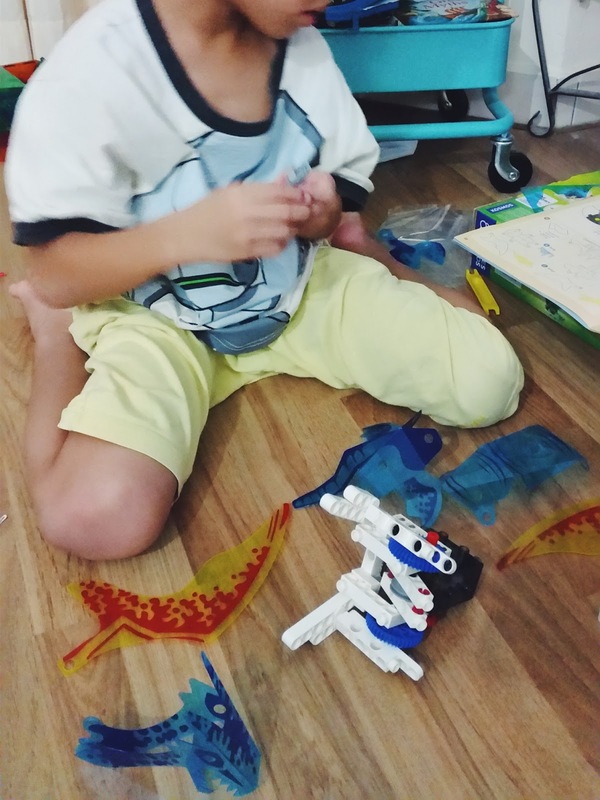 Bubs absolutely loves this kit and is already trying out more models which are so cool with their colourful "skins". 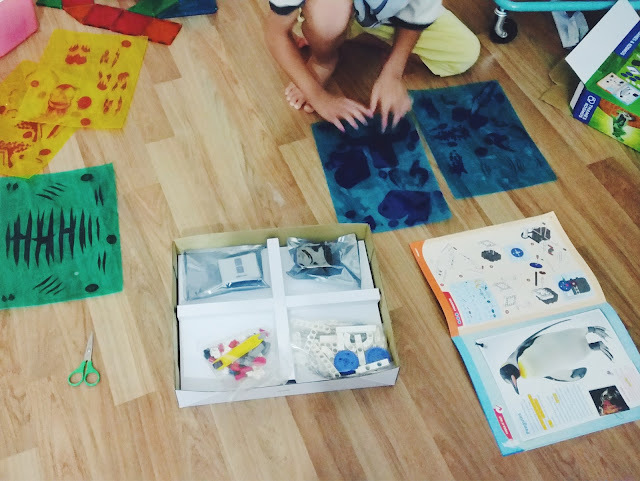 It's a great step towards fostering a love of tinkering and robotics. 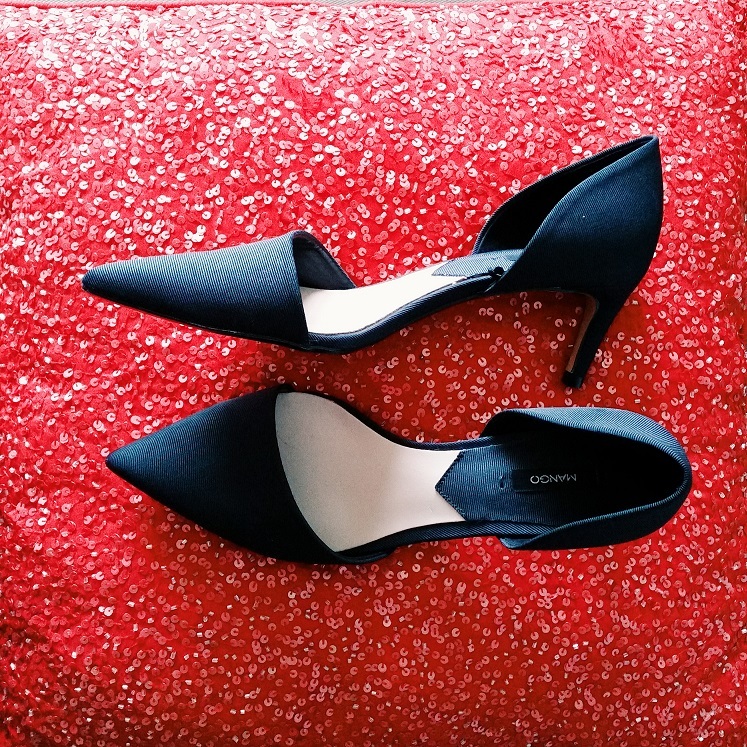 I've set my sights on these MNG black pointed low heels for a while and the moment I saw them on sale, I immediately marched over to the cashier with them. They also come in a hot pink version that i deliberated over but decided that stains on the fabric would be hell to get off. Blush pink Miss Selfridge asymmetrical crop top and Melissa + Jason Wu flats. With all the crop tops that I've been getting lately, I kinda wish that 70s style high waist jeans will come back in season soon. These Melissa flats are a bit of a splurge for me (even though they were on sale at Zalora) but they are so comfy plus its jelly-like material means that Hubs I can wash stains off them easily. Taking another step deeper into aunty-hood, my lunch buddies and I have started keeping indoor gardens in small containers. 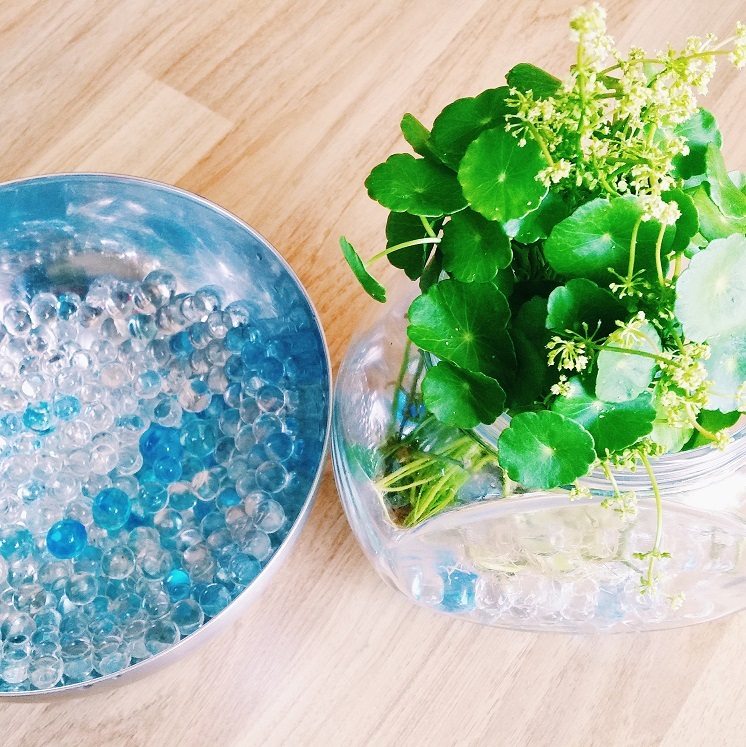 Daiso water beads in lieu of soil for this pot of pennywort. 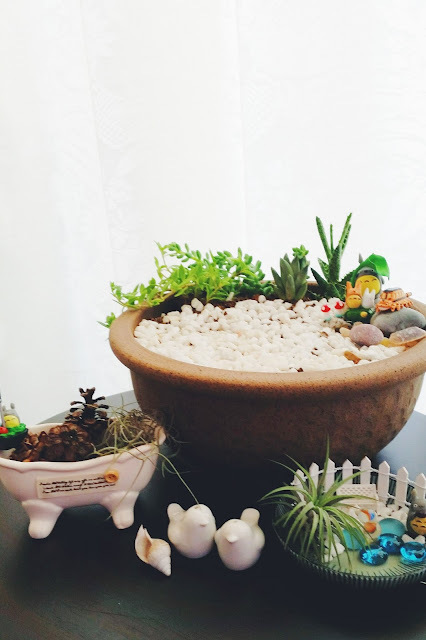 I've tried (and failed miserably) terrariums so I've shifted my attention to air plants which are fuss-free and look so cute in mini landscapes. I'm also trying my luck with succulents in a large pot and praying frantically that they don't die. For some reason, cacti are hardier and I can never seem to gauge the correct amount of water for succulents.